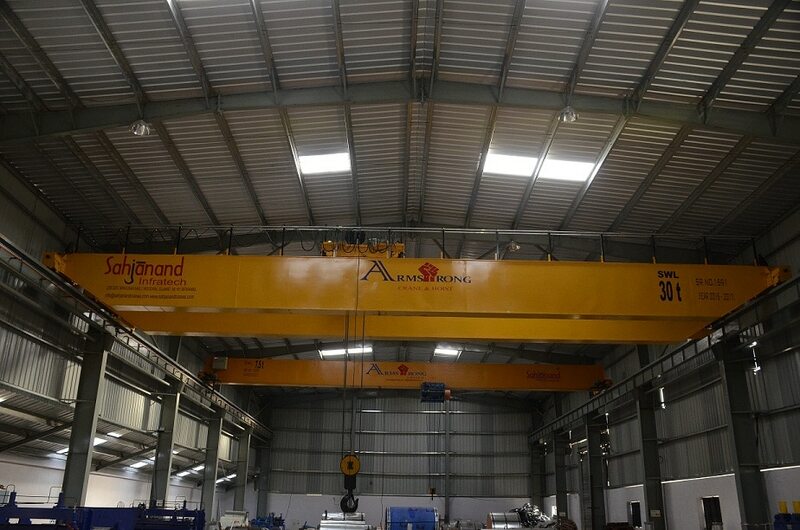 Sahjanand Infratech is the leading manufacturer of the EOT Crane in Vadodara, Gujarat. Here we had shown in the image that does not lift overweight material. JUST LOOK AT THE CAPACITY. Safety Warning for the Operation of EOT Crane. Do not swing the load. It can damage the Crane and Material. Use EOT Crane Safely. Just Look at the image. We Sahjanand Infratech is the leading EOT Crane and PEB Structure manufacturer in Vadodara, Gujarat. Operation Instruction for the Operation of EOT Crane. Balance the material/Load before lift the Load. Just Look At The Image. We can also provide all warning posters free of cost. Please contact us if you required. We Sahjanand Infratech is the leading Manufacturer of EOT Crane and PEB Structure in Vadodara, Gujarat. Warning for the EOT Crane Operator. NEVER STAND UNDER THE LOAD. JUST LOOK AT THE IMAGE. We Sahjanand Infratech are the leading manufacturer of EOT Crane and PEB Strucutre at Vadodara. We can also provide warning poster free of cost. Please call us if you required. Thanks. Warning for the EOT Crane Operator. Do not stand on the Job while loading. It's not for JOY RIDE. Just Look at the image. We Sahjanand Infratech are the leading Manufacturer of EOT Crane and Pre Engineered Building in Vadodara. We can also provide warning poster free of cost. If you required please call us. Thanks. Pre Engineered Building. Benefits of Pre Engineered Buildings. 1 - Low weight as compare to conventional building. 2 - look better then conventional building. 3 - Building design as per point load as required. 4 - Easy to erect as compare to conventional building. 5 - Fast in manufacturing. 6 - Welding will be done by automatic machine. Pre Engineered buildings is more economic then conventional buildings. CRANE SAFETY TIPS • Periodically read the manual and review the rules. • At the beginning of your shift, check your hoist. • Examine the load chain for damage or twists, or the wire rope for kinks or fraying. • Check the hook. If it's out of shape, don't use it. This may indicate internal damage. • Don't try to lift more than the hoist rating. If you don't know the hoist's rating, find out. • Avoid shock loads. Don't run the hook with a slack chain. Bring the chain or wire to a taut position before lifting. • To avoid damage to the hoist, the rope or chain should always be in a straight line from hoist to hook. • Avoid snagging a load while lifting. • Avoid jogging a load. • Balance a load carefully. Use the right sized sling. • Be sure your load is secure so that nothing can slip out and cause damage or injury. • Never use the load chain or wire rope for a sling and make sure the load chain or rope is straight...no kinks, bends or breaks. • Don't bend the rope or chain over sharp edges. • When welding near a hoist, avoid heating the chain and making it weak; keep weld spatter off the chain, and never use the hoist as a ground. • When using a wire rope hoist, check the wire on the drum. Don't let it get out of the grooves and pile upon itself. • Side pulls with a wire rope hoist may fray the rope and make it unsafe and/or damage the hoist. • Never leave a suspended load unattended. That load is your responsibility. • Never carry a load over another person...or get under a load yourself. • Never lift people with a hoist. • When moving a load, look where you are going. Push, don't pull. Please take care of this and give training to your Crane operator for batter performance.